In the United States (USA), ultrasound (U/S) performed at the point-of-care is utilized in emergency departments, critical care and inpatient units, as well as outpatient clinics. U/S has permeated the prehospital environments of ambulances and helicopters (Hoyer et al. 2010). Providers utilize U/S in global health and low resource environments as well as outer space (Wall 2016). U/S improves many aspects of patient care, such as decreasing complications and making procedures and disposition times more efficient (Moore 2011 Bahner 2012). Arguably point-of-care U/S has made its largest impact on how we place intravenous (IV) lines. Notably, the difficult intravenous (IV) access patient population has been the most affected. IV access is one of the most commonly performed procedures in the emergency department (Fields et al. 2014, Sou et al. 2017). Studies have found that the majority of patients admitted to the hospital will require an IV line. At least one-third of those patients will be termed “difficult access” (Sou et al. 2017). Typically defined by two failed blind peripheral attempts, difficult vascular access is felt to relate to a patient’s medical problems. These include diseases affecting the vascular system such as diabetes, end stage renal disease, sickle cell disease, and intravenous drug use. These patients typically have poorly visualized or poorly palpated veins, (Fields et al. 2014, Sou et al. 2017). A common scenario in a USA emergency department would be as follows: After multiple failed blind attempts by a nurse and/or by a technician, physicians are asked to obtain IV access. Previously, physicians would resort to placing an external jugular IV or potentially to placing a central venous IV line (Costantino et al. 2005). Under U/S guidance, vascular access is faster, more accurate, less painful, and marked by improved patient satisfaction (Costantino et al. 2005, Gottlieb et al. 2017). The literature reports an 80% reduction in central venous line placement after an U/S guided IV program is implemented (Au et al. 2012, Shokoohi et al. 2013). However, U/S is not solely the domain of physicians. We believe U/S is the domain of all health care providers. Nurses using U/S for IV access is not a novel concept. Studies published over a decade ago describe the success of nursing training in U/S guided peripheral IV placement (Brannam et al. 2004, Blaivas & Lyon 2006). Numerous studies report successful nurse U/S guided peripheral IV programs in the emergency department (Miles et al. 2012, Weiner et al. 2013, Carter et al. 2015, Oliveira & Lawrence 2016, Bahl et al. 2016). Not surprisingly, there are no significantly increased rates of complications (Miles et al. 2012, Carter et al. 2015). Moreover, the Emergency Nurses Association supports U/S use, giving it a “Level A – High” level of recommendation (Valdez et al. 2015). 2.5 Hours Bedside session on cannulation of simulated vessels on static task trainers. Bedside session on U/S identification of veins and surround anatomy on live models. Following the session, the nurses must successfully complete 5 U/S guided peripheral IVs supervised by a credentialed EM provider (attending, resident or nurse) in the department (Figure 2). Once completed, the nurses are credentialed to perform the procedure independently. To date, twenty emergency nurses have completed the training program. They are credentialed and integrate U/S at the point-of-care. By keeping the training sessions small and targeting invested learners, we believe we are identifying the “super-users”, who will train other nurses. We now have a group of nurse “champions” who have demonstrated significant interest and excellence in performance of the technique. These nurse champions act as co-facilitators during the introductory session and are placed in charge of new trainees once each session concludes. The “train the trainer” model ensures sustainability of an entirely self-sufficient program. Nurses and patients feel positively about the initial implementation of this education program within our emergency department. We recognize the need for a broader and more inclusive program. Future sessions will include an interdisciplinary group of participants, including physicians, nurses, and technicians learning and training together (Patel and Reeves 2018). Vascular access is a rational place for interprofessional utilization of U/S to begin. We see this as a first-step. U/S is not the sole realm of physicians. It is within the scope and safe practice of all health care providers. * Validator must ensure that each step is completed and the clinician successfully inserts the IV on first attempt. Introduces self and identifies patient with use of two patient identifiers per hospital protocol. Verifies order for peripherally inserted IV access. Clean ultrasound machine before use on patient. Cleans patient arm and ultrasound probe. Positions patient for optimal visualization. Applies tourniquet. Visualized and identifies structures including veins, arteries, nerves, bone and muscle tissue. Assesses veins for compressibility, directionality and size. Selects appropriate catheter gauge and length for selected vein. Dons clean gloves. Cleanses site with chlorhexidine swab. Applies clean gel. Orients vein in transverse axis. Hold ultrasound probe in non-dominant hand. Hold IV catheter in dominant hand and insert needle at 30-45 degrees and in the right location for the target vessel depth. Visualize needle tip while still superficial and follow the needle tip progression while guiding needle to target vessel, puncturing vessel as blood flash in catheter or IV window is visualized. Verifies blood return, and successfully advances catheter. ensure that at least 3⁄4 of catheter’s length is advanced into the vein. Apply firm pressure proximal to the IV site to prevent bleeding from the IV site. Remove stylet and activate the safety feature per the manufacturer’s guidelines. Removes tourniquet. Connects extension set and flush syringe to catheter hub. Flushes and re-verifies blood return. Palpates vein while flushing to verify fluid is not causing tissue displacement. Removes ultrasound gel from site and preps skin for securement device. Stabilize catheter per institution protocol. Visualize catheter by long axis view. Record images onto ultrasound machine per departmental protocol. Documents start date on IV site. 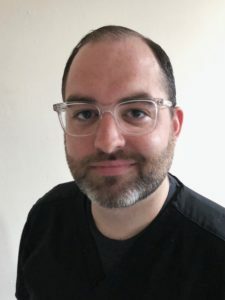 Documents procedure appropriately in MR.
Mark Magee is faculty in the Point-of-Care Ultrasound Division and an Assistant Professor of Emergency Medicine at Thomas Jefferson University Hospital. He has a particular interest in ultrasound education and has presented regionally, nationally and internationally. He currently serves as the President of the Emergency Ultrasound Section of the American Academy of Emergency Medicine (EUS-AAEM). 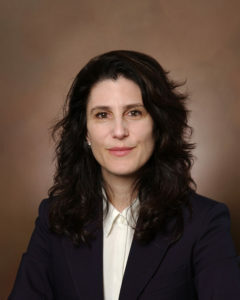 Resa E. Lewiss is the director of the Point-of-Care Ultrasound Division and a Professor of Emergency Medicine at Thomas Jefferson University Hospital. She has numerous peer reviewed publications and chapters related to point-of-ultrasound education, medical education, global health, simulation, pediatrics and national policy. Resa has led point-of- care ultrasound education courses regionally, nationally, and internationally.Her international locations have included Madagascar, Ghana, India, Sri Lanka, Brazil, Rwanda, Singapore, Ireland and Italy. She is a medical educator and leader who has mentored trainees at all levels. Hoyer HX, Vogl S, Schiemann U, Haug A, Stolpe E, Michalski T. Prehospital ultrasound in emergency medicine: incidence, feasibility, indications and diagnoses. European journal of emergency medicine : official journal of the European Society for Emergency Medicine. 2010; 17(5):254-9. Bahner, D. Emergency Ultrasound at the Bedside: Not Just FAST. Patient Safety & Quality Healthcare. 2012; January/February: 46-47. Moore CL, Copel JA. Point-of-care ultrasonography. The New England journal of medicine. 2011; 364(8):749-57. Fields JM, Piela NE, Au AK, Ku BS. Risk factors associated with difficult venous access in adult ED patients. The American journal of emergency medicine. 2014; 32(10):1179-82. Sou V, McManus C, Mifflin N, Frost SA, Ale J, Alexandrou E. A clinical pathway for the management of difficult venous access. BMC nursing. 2017; 16:64. Costantino TG, Parikh AK, Satz WA, Fojtik JP. Ultrasonography-guided peripheral intravenous access versus traditional approaches in patients with difficult intravenous access. Annals of emergency medicine. 2005; 46(5):456-61. Gottlieb M, Sundaram T, Holladay D, Nakitende D. Ultrasound-Guided Peripheral Intravenous Line Placement: A Narrative Review of Evidence-based Best Practices. The western journal of emergency medicine. 2017; 18(6):1047-1054. Au AK, Rotte MJ, Grzybowski RJ, Ku BS, Fields JM. Decrease in central venous catheter placement due to use of ultrasound guidance for peripheral intravenous catheters. The American journal of emergency medicine. 2012; 30(9):1950-4. Shokoohi H, Boniface K, McCarthy M, et al. Ultrasound-guided peripheral intravenous access program is associated with a marked reduction in central venous catheter use in noncritically ill emergency department patients. Annals of emergency medicine. 2013; 61(2):198-203. Brannam L, Blaivas M, Lyon M, Flake M. Emergency nurses’ utilization of ultrasound guidance for placement of peripheral intravenous lines in difficult-access patients. Academic emergency medicine : official journal of the Society for Academic Emergency Medicine. 2004; 11(12):1361-3. Blaivas M, Lyon M. The effect of ultrasound guidance on the perceived difficulty of emergency nurse-obtained peripheral IV access. The Journal of emergency medicine. 2006; 31(4):407-10. Miles G, Salcedo A, Spear D. Implementation of a successful registered nurse peripheral ultrasound-guided intravenous catheter program in an emergency department. Journal of emergency nursing: JEN : official publication of the Emergency Department Nurses Association. 2012; 38(4):353-6. Weiner SG, Sarff AR, Esener DE, et al. Single-operator ultrasound-guided intravenous line placement by emergency nurses reduces the need for physician intervention in patients with difficult-to-establish intravenous access. The Journal of emergency medicine. 2013; 44(3):653-60. Carter T, Conrad C, Wilson JL, Dogbey G. Ultrasound Guided Intravenous Access by Nursing versus Resident Staff in a Community Based Teaching Hospital: A “Noninferiority” Trial. Emergency medicine international. 2015; 2015:563139. Oliveira L, Lawrence M. Ultrasound-Guided Peripheral Intravenous Access Program for Emergency Physicians, Nurses, and Corpsmen (Technicians) at a Military Hospital. Military medicine. 2016; 181(3):272-6. Bahl A, Pandurangadu AV, Tucker J, Bagan M. A randomized controlled trial assessing the use of ultrasound for nurse-performed IV placement in difficult access ED patients. The American journal of emergency medicine. 2016; 34(10):1950-1954.